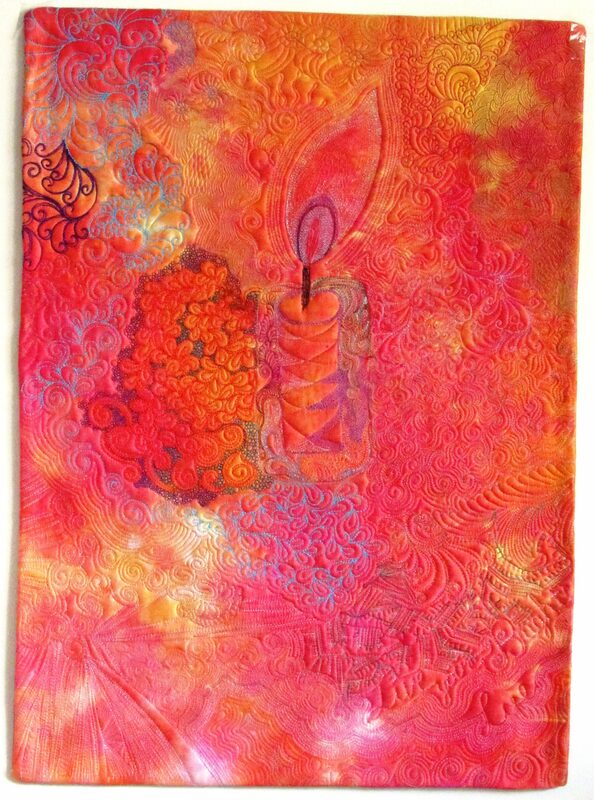 Twisted Journey, From Inspiration to Whole Cloth was a rousing success in my view. See today’s class was an experiment, a first class and the students had a great time and I have a better handle on the format of the class and how to encourage the students along in the process. One day very early in the spring I had a very strange realization: I quilt whole cloth quilts – when I quilt for myself and I like it! 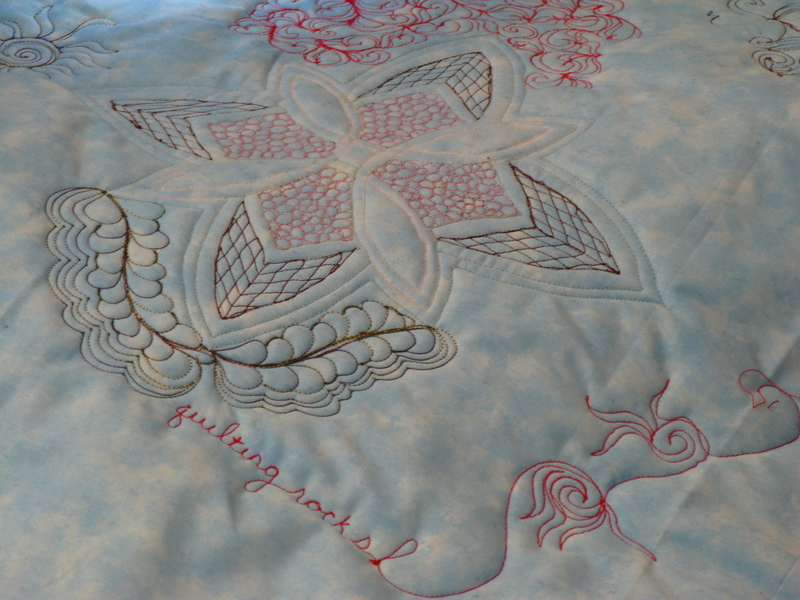 And I like the whole cloth quilting so much that I’d like to share the process of whole cloth quilting – with a slight twist. 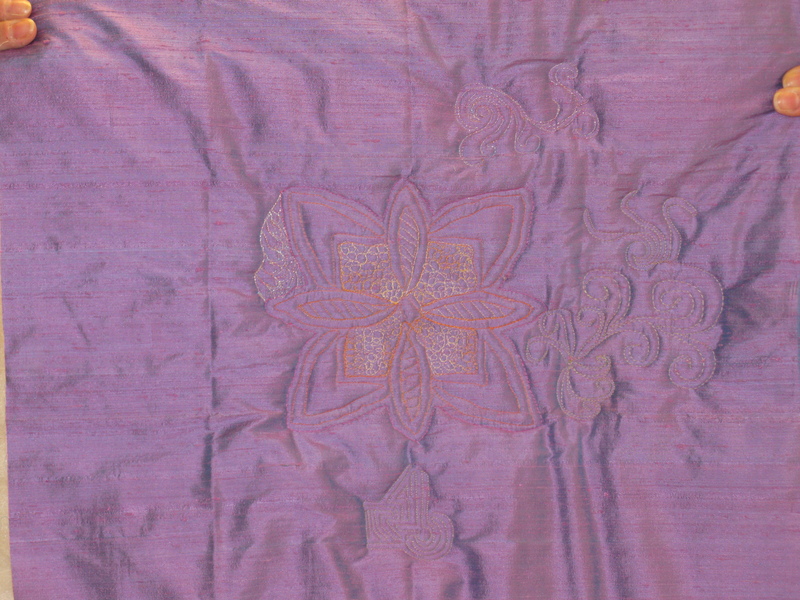 “Traditional” whole cloth quilting in the States is white on white or tone on tone quilting. There are a number of quilters that use color, color, color in their quilts including Sue McCarty with the most amazing example of “Tribute to Tolkein”. Look this amazing quilt up. I’ve had in my head and on paper what I want my students to do in this class. First 45-60 minutes – prep work on paper giving the students a idea of approaching whole cloth. As we worked on this process the room was so quiet at moments that I could hear a pin drop! Wow. 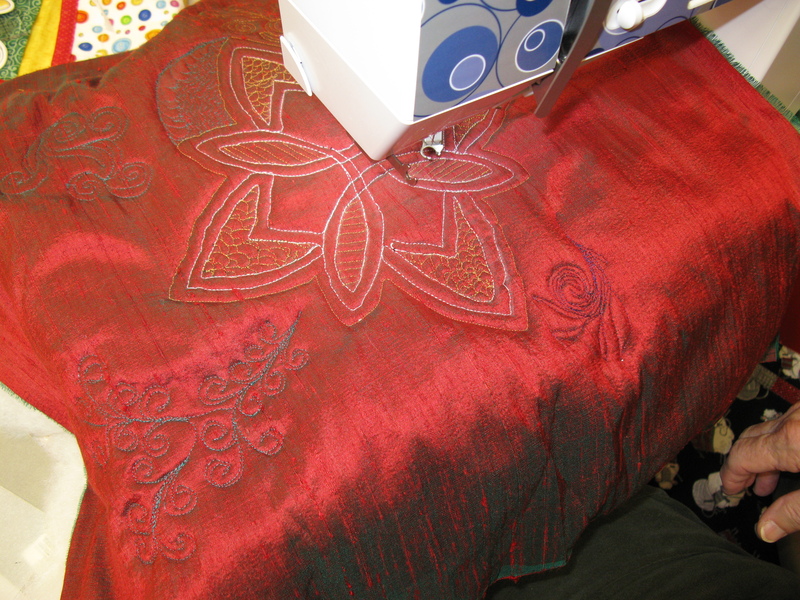 Quilt Prep – including double batting layer, using pounce for a stencil and starting stitching. One note when using loose chalk powder be mindful of the sensor on the BSR, the chalk powder can cover the sensor making it difficult to get the BSR to move with you. 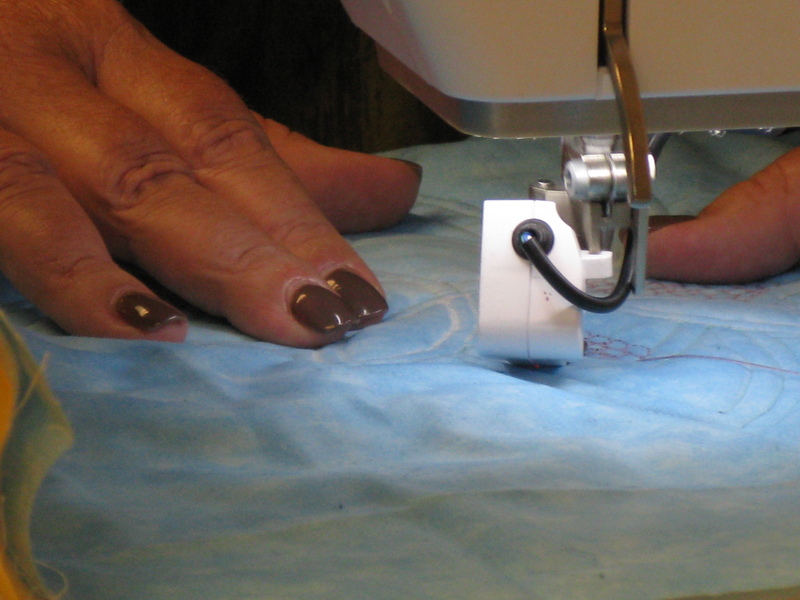 Quilting – here’s the opportunity to try a variety of stitching motifs, change thread and play. So glad the class went well! I would love to do a small whole cloth! I’d love to see what you do for a small whole cloth quilt. I’d bet it’d be amazing! It must’ve been a wonderful class! The works of the ladies are gorgeous! The results look awesome! I’m glad you’re spreading the word, more quilters need to just dive in and quilt it themselves! I’m jealous; wish I could have been there. I took a class with you in Rhode Island at the MQX show last year and it was great. I’m looking forward to the next MQX show in New Hampshire next year and hopefully you’ll be teaching and we can connect again. 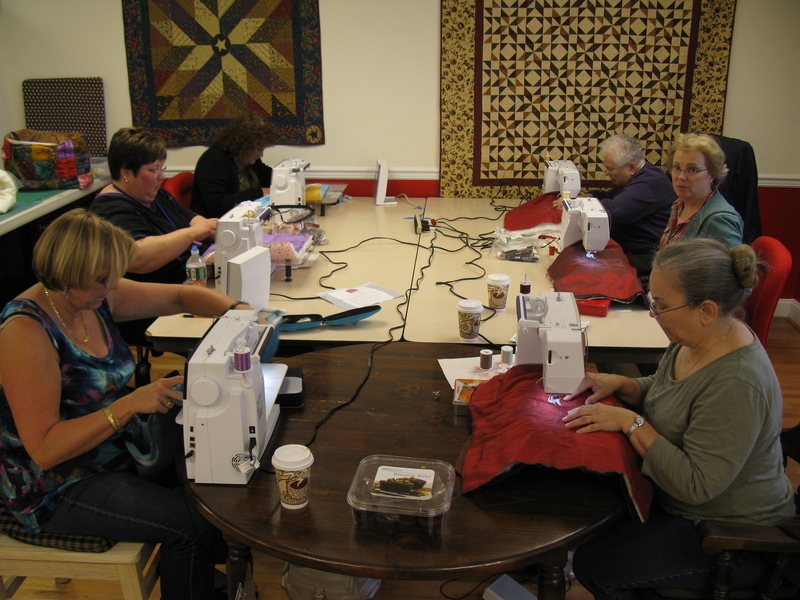 What great work those ladies did and the quilting does “rock”. I’m so looking forward to some pictures of your work with Karen McTavish. 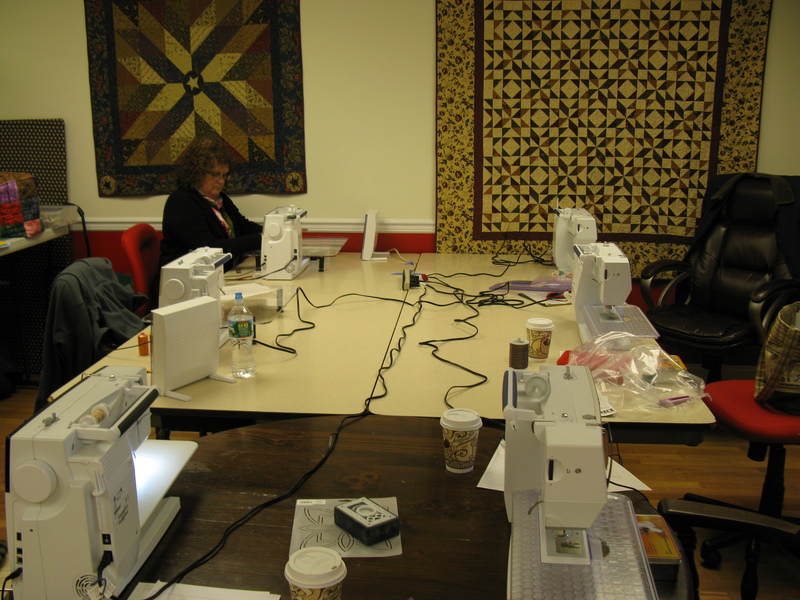 I also took a class with her and with your talent and hers….watch our quilting world ! I’m excited for you Teri that you are loving what you’re doing….you go girl ! Maybe someday I’ll find my niche? It would be wonderful to take your class! 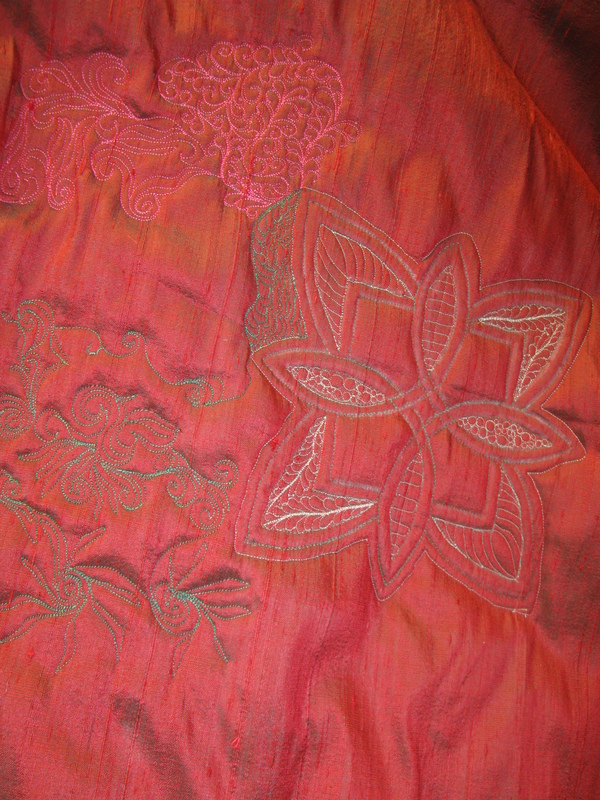 I have been thinking of making a series of quilts I think of as “Pen and Ink” (machine and thread), but they aren’t traditional whole cloths. I think it would be fun to do a traditional whole cloth. Glad your class went well! Cheers.